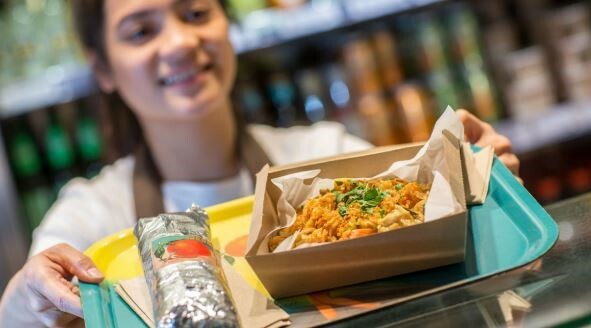 Leon, the home of naturally fast food, can now be found at London Stansted Airport, with boldly flavoured, well sourced meals that not only taste good but do you good. At Leon, enjoy the convenience of fast food with the natural goodness of Mediterranean cooking, with healthy fast food options that are bursting with colour and flavoursome textures. Leon serves breakfast, lunch, dinner and coffee all day every day, with items ranging from quality salads to burgers, hot rice boxes and treats, so you can enjoy anything you want. It's naturally fast food served by people who are sunny inside.